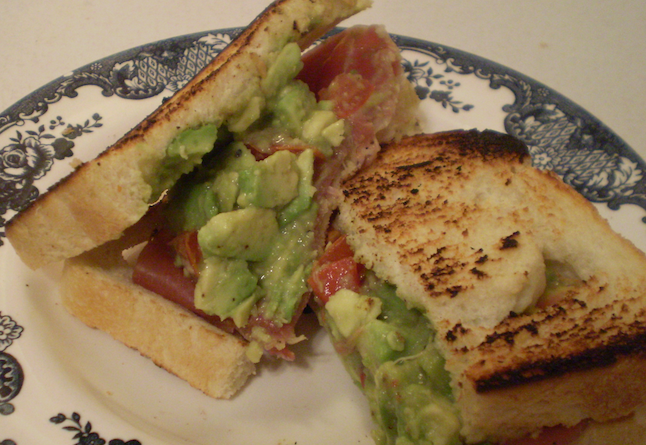 Two slices of sourdough bread with prosciutto and guacamole in between. The following recipes makes four sandwiches. 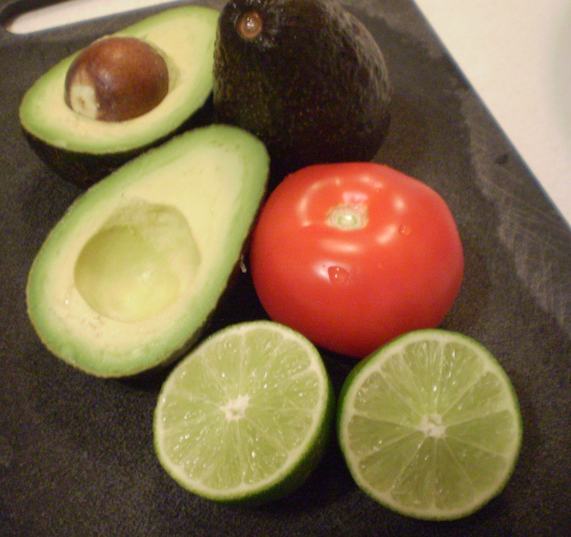 The ingredients in the guacamole are avocados, tomatoes and lime juice. Season with sea salt and freshly ground pepper. Add to a bowl the avocados and lime juice. Mash the avocados. Add in the tomatoes and season with salt and pepper. This is the guacamole that will go into the sandwich. 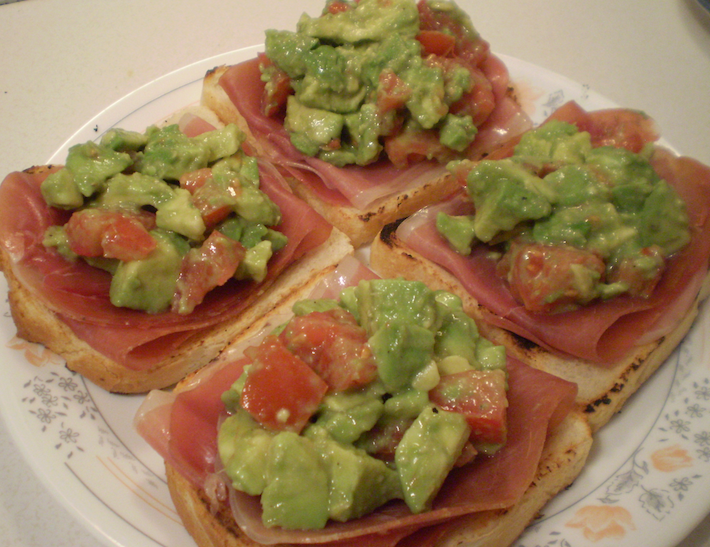 Slices of sourdough bread topped with prosciutto and avocados mixed with lime juice and tomatoes. To assemble the sandwich, place two slices of prosciutto onto one slice of bread. Add a generous scope of the guacamole on top of the prosciutto and spread it around. Top with another slice of bread. Cut the sandwich in half and now you have made the first sandwich. Repeat three more times. Never had a prosciutto and guacamole, going to have to try it now!